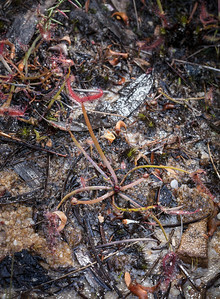 Drosera auriculata, Drosera spatulata, Drosera binata var dichotoma, and Utricularia lateriflora on the trail near Horseshoe Falls outside Blackheath in the Blue Mountains, New South Wales, Australia. 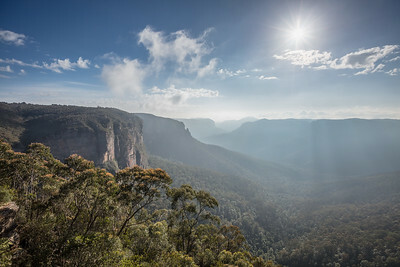 View from Govett's Leap outside Blackheath in the Blue Mountains, New South Wales, Australia. 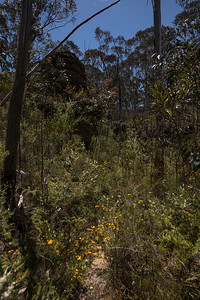 Drosera binata growing on a cliff face visible from the trail near Horseshow Falls outside Blackheath in the Blue Mountains, New South Wales, Australia. 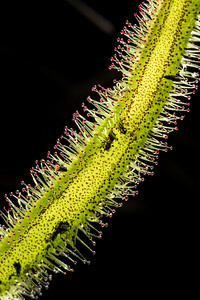 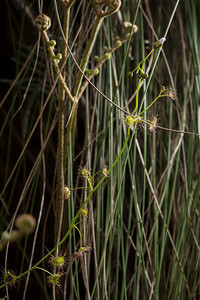 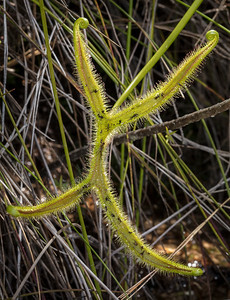 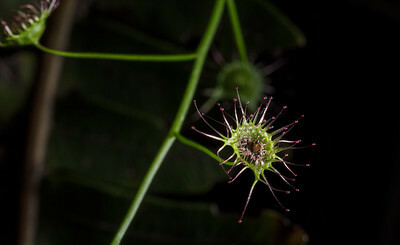 Drosera spatulata on the trail near Horseshow Falls outside Blackheath in the Blue Mountains, New South Wales, Australia. 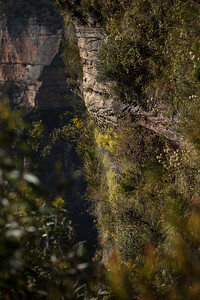 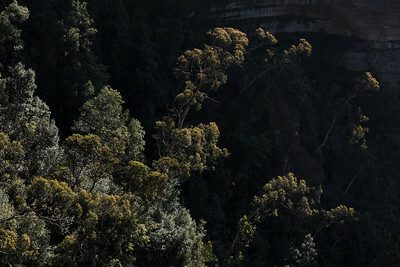 Trees seen from Govett's Leap outside Blackheath in the Blue Mountains, New South Wales, Australia. 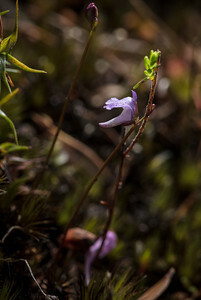 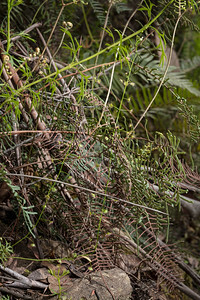 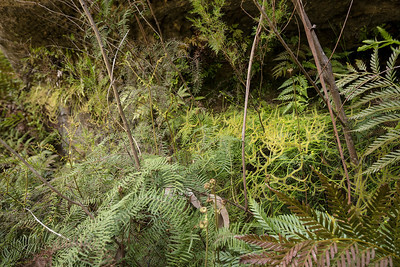 Utricularia binata on the trail near Horseshow Falls outside Blackheath in the Blue Mountains, New South Wales, Australia. 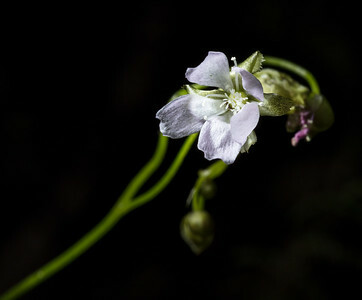 Utricularia lateriflora on the trail near Horseshow Falls outside Blackheath in the Blue Mountains, New South Wales, Australia. 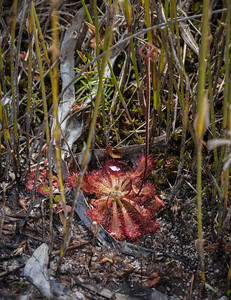 Drosera binata var dichotoma on the trail near Horseshow Falls outside Blackheath in the Blue Mountains, New South Wales, Australia. 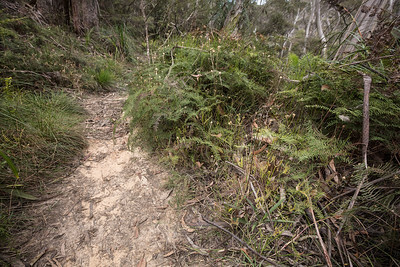 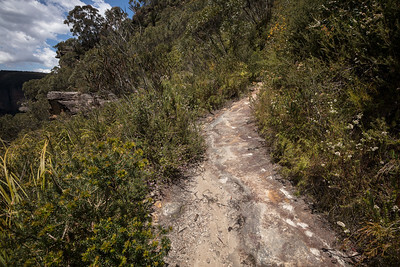 Trail near Horseshow Falls and habitat for Drosera binata, Drosera spatulata, and Utricularia lateriflora outside Blackheath in the Blue Mountains, New South Wales, Australia. 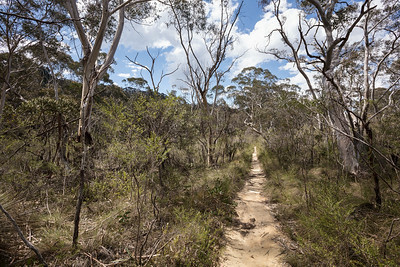 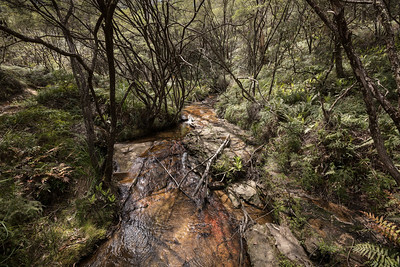 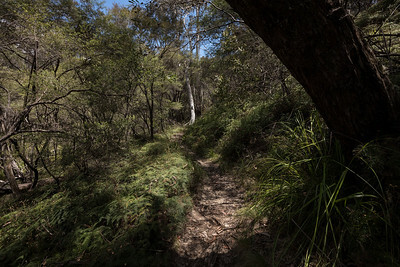 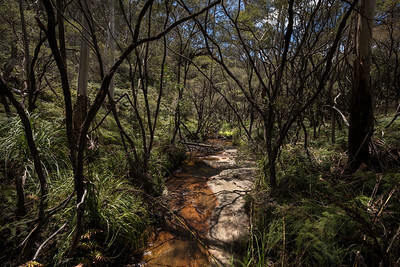 Trail near Horseshow Falls outside Blackheath in the Blue Mountains, New South Wales, Australia. 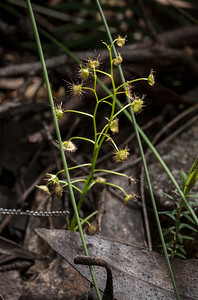 Colony of Drosera binata var dichotoma on the side of a boulder in the woods leading to Horseshow Falls outside Blackheath in the Blue Mountains, New South Wales, Australia. 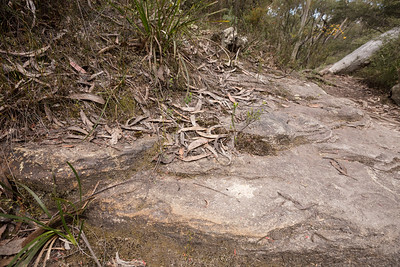 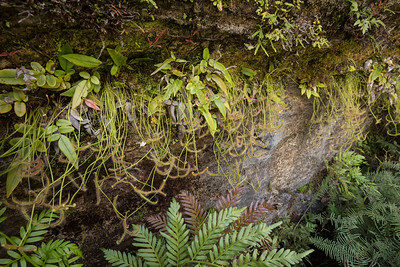 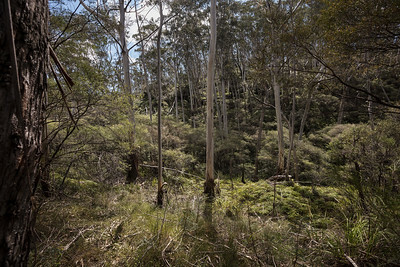 Large boulder that is home to a colony of Drosera binata var dichotoma on one side, in the woods leading to Horseshow Falls outside Blackheath in the Blue Mountains, New South Wales, Australia. 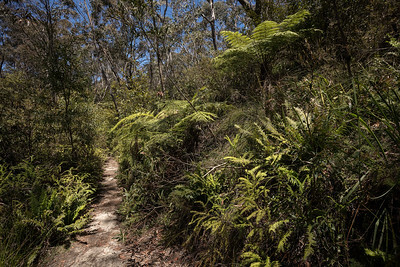 Hiking path near habitat for Drosera binata var dichotoma and Drosera auriculata in the woods leading to Horseshow Falls outside Blackheath in the Blue Mountains, New South Wales, Australia. 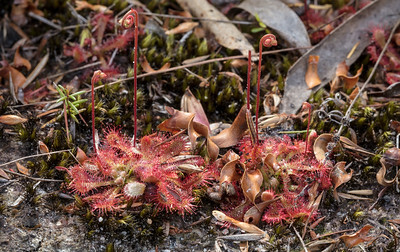 Drosera auriculata in the woods leading to Horseshow Falls outside Blackheath in the Blue Mountains, New South Wales, Australia. 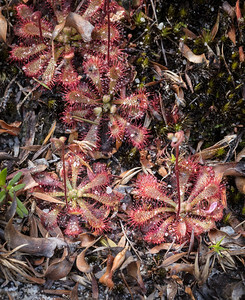 Drosera binata var dichotoma and Drosera auriculata in the woods leading to Horseshow Falls outside Blackheath in the Blue Mountains, New South Wales, Australia.